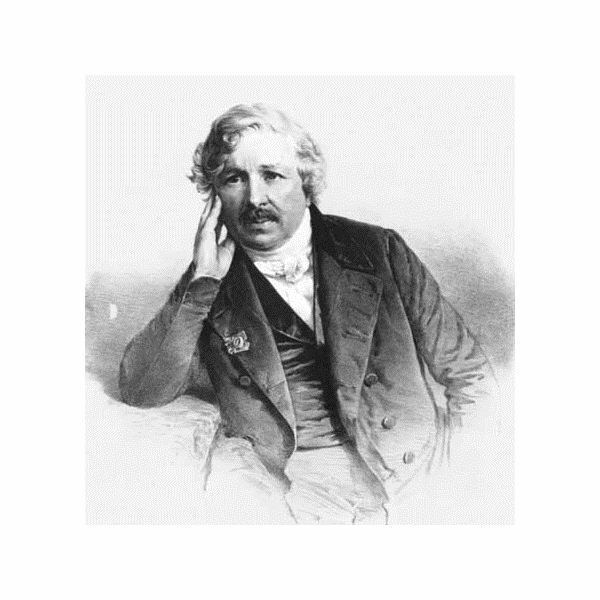 Louis Jacques Mande Daguerre is a French chemist recognized worldwide for inventing the daguerreotype photography process. His invention paved the way for what has become the modern day photography. He has great contribution in the history of photography. Louis Jacques Mande Daguerre started as an apprentice architect. At the tender age of 16 he was an assistant to a stage designer, getting recognition for his unique and attractive stage designs. He was an expert in the handling of various light effects, working for a god number of operas in Paris. He developed the Diorama, a picture show with varying light effects and paintings of popular places. The said invention also became popular in the 1920s. Louis Jacques Mande Daguerre was regularly using a camera obscura in painting, and he was always curious on how to freeze an image. In 1829 he partnered with another chemist, Nicephore Niepce, who had produced the very first permanent photograph but their experiment abruptly ended with the death of Niepce in 1833. Two years after the death of his partner, however, Louis Jacques Mande Daguerre made an accidental discovery. He found a latent image developed after putting an uncovered plate in his cupboard. He concluded that it was the result of mercury vapor coming from a damaged thermometer. His discovery reduced the exposure time of a latent image developing to as short as 30 minutes. However it took Louis Jacques Mande Daguerre another two years, or in 1837 to fix the process which he called as the daguerreotype. The French Government then supported his invention, buying the rights to Daguerre’s process. Daguerreotype images taken by Sergei Levitsky, a famous photographer from Russia while touring Caucasus were displayed in an exhibit at the Paris Exposition in 1843. The images were used to advertise the lenses of French optician Chevalier. The use of Chevalier lens by Levitsky furthered the focusing ability of the camera as it utilized a couple of cemented, dual lenses which reduced the required time in capturing images for landscape and portraiture photography. The Daguerreotype images were given the gold medal in the said Exposition, the first time a photograph was given a prize of such distinction. Louis Jacques Mande Daguerre’s process was considered as the most advanced during his era, although it was not able to produce an image which cannot be reproduce. Aside from this drawback, the daguerreotype had its share of disadvantages. For one, it ruled out portraiture given the necessary length of exposure. The image was likewise laterally reversed, and was very fragile. Despite its flaws, millions were produced by the French government, which had called it a gift to the Free World. However, the process was soon made redundant by the Talbot negative process which had been improved by wet collodion. In this process, a glass negative paved the way for printing of numerous sharp prints.